This article describes the most common errors and methods of fixing them. 1. Error: There are active connections to the database from other ELMA versions. Reason: web farm servers work with different versions. Solution: update the servers to run the same version. 2. Error: Cannot configure provider by section in the configuration cacheService. This error may occur after resetting the database or restarting the virtual machine. Start the ELMA pool and site on all the farm virtual machines. 3. Error: Failed to start the main farm server. 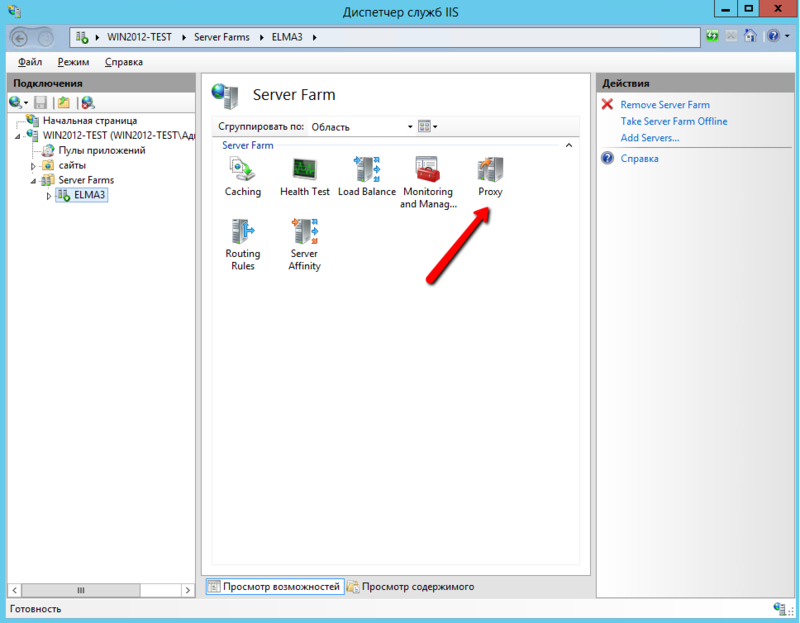 Solution: go to the main VM, open IIS Manager -> WEBFARM-Servers Farms -> ELMA3 -> Servers. If the servers have the Unknown status, change it to Yes. Next, open the first farm server and in the right menu click Repair Server. 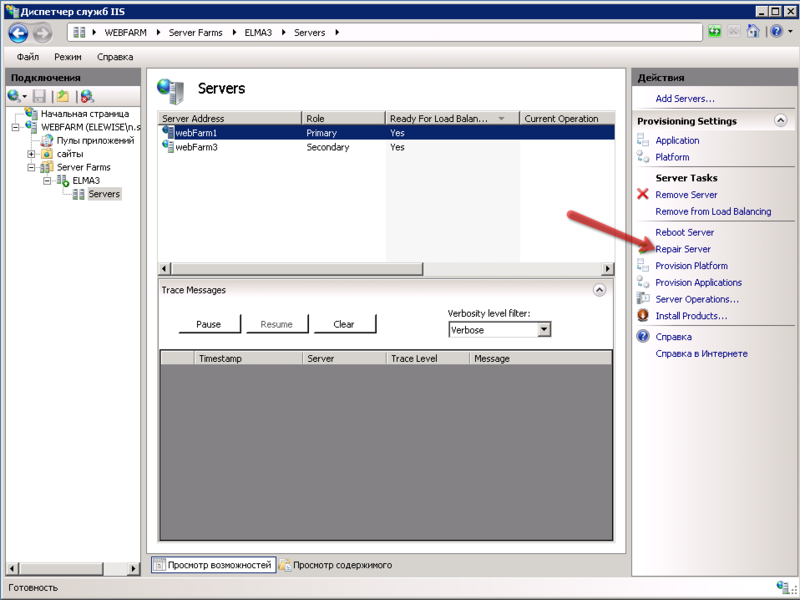 In the context menu of this server, select Make Server Available. 4. Error: Web Farm does not start. Full error text: EleWise.ELMA.Runtime.Exceptions.ConfigurationInitializeException: Cannot configure provider by section in the configuration cacheService ---> Microsoft.ApplicationServer.Caching.DataCacheException: ErrorCode:SubStatus: There is a temporary failure. Please retry later. (One or more specified cache servers are unavailable, which could be caused by busy network or servers. For on-premises cache clusters, also verify the following conditions. Ensure that security permission has been granted for this client account, and check that the AppFabric Caching Service is allowed through the firewall on all cache hosts. Also the MaxBufferSize on the server must be greater than or equal to the serialized object size sent from the client.) ---> System.ServiceModel.CommunicationException: Connection to socket was interrupted. It may be caused by a message processing error, timeout on a remote node or an issue with the dedicated network resource. Local socket timeout: "10675199.02:48:05.4775807". ---> System.IO.IOException: Read operation error, see internal exception. ---> System.ServiceModel.CommunicationException: Connection to socket was interrupted. It may be caused by a message processing error, timeout on a remote node or an issue with the dedicated network resource. Local socket timeout: "10675199.02:48:05.4775807". ---> System.Net.Sockets.SocketException: Remote host interrupted the connection. Solution: Reconfigure the application pool to the machine, network and cache Administrator. 6. Error: 502 - Web server received an invalid response while acting as a gateway or proxy server. 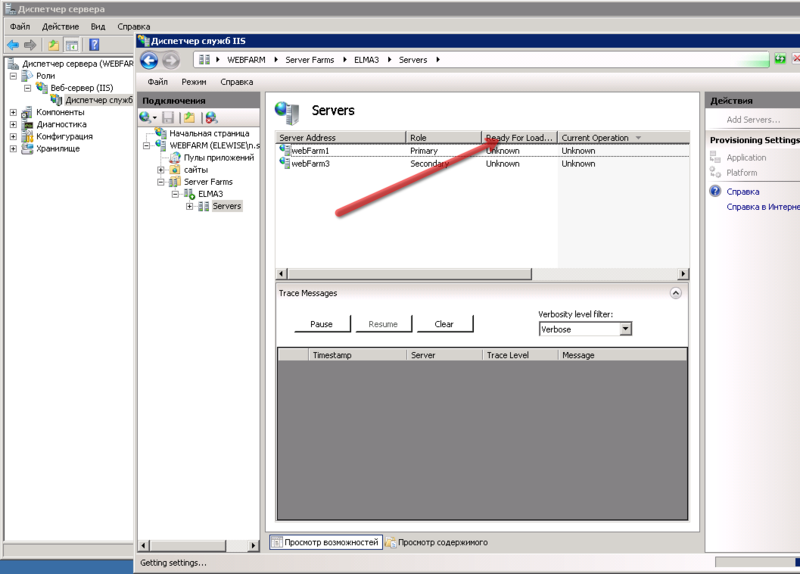 Solution: Open the web farm settings on the controller, then go to IIS Manager -> Proxy. 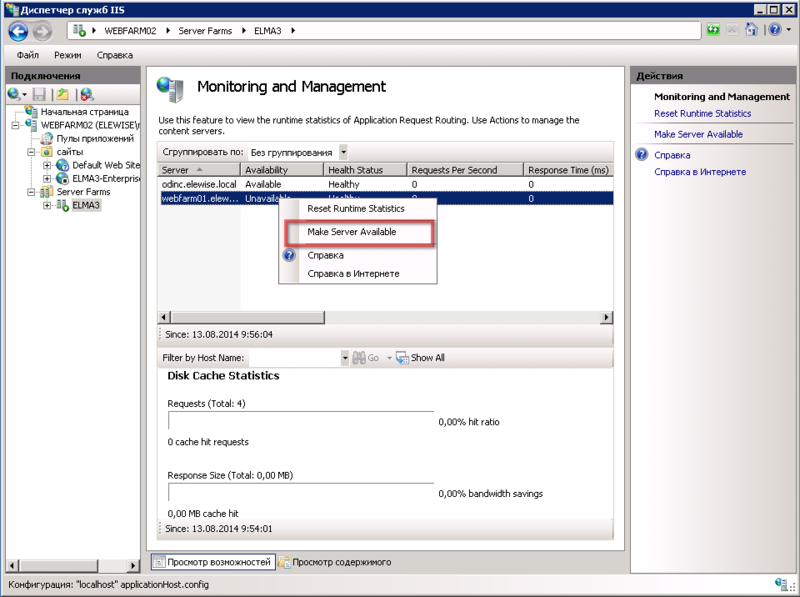 In the opened window, increase the application server response time-out. In the Proxy section change the value in the Time-out (seconds) field, for example, to 600. If this value is exceeded, the 502 error will be displayed. Start the ELMA pool and site on all the farm VMs. If an error occurs when running New-Cache, it means that caches are not deleted yet, i.e. you need to wait a little more and try again.